Nail Fungus Sufferers: What Works and What Doesn’t? Are you tired of suffering from stubborn and ugly nail infections? 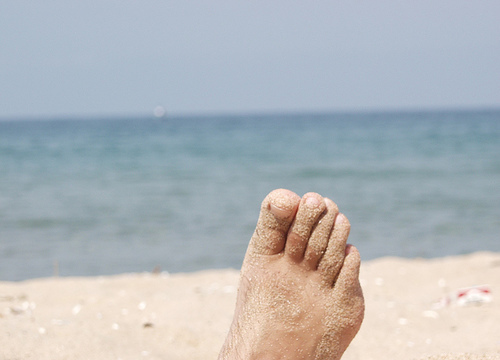 Do you long for letting your once beautiful toes see the sunlight again? Do you wonder what it’s going to take to get rid of the fungus? Over the years we’ve had the opportunity to collect testimonials from people who left comments on ToenailFungusTreatments.com, who have used different types of nail fungus remedies. After analyzing them, we’ve created some useful suggestions for those who want to eliminate nail fungus. Of course, nothing is ever 100% guaranteed, but if we can learn from others with similar problems, we have a better chance of crossing off one more problem we have from the list that seems to accumulate many problems as we age. In fact, I was thinking about doctors and how they learn. I know that if you ask any doctor who he or she learned the most from, they will say their patients. 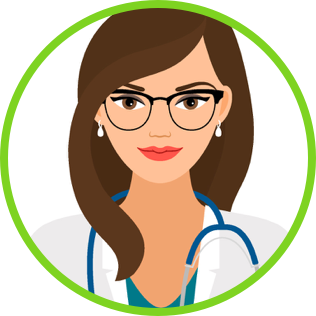 In the practice of medicine, a doctor who pays the most attention to the results that their patients are receiving, and makes appropriate adjustments is often the most successful – both with people and against disease. Recognizing this feedback loop was very valuable, we started collecting reports on remedies from our readers and have been able to create some basic guidelines for anyone with nail fungus problems who wants to use these treatments to get clear nails again. Remedies for nail fungus are plentiful. Lamisil, a prescription and over-the-counter medication, is often recommended by medical doctors; both general practitioners and dermatologists. Home remedies such as tea tree oil, hydrogen peroxide, vinegar, or even Vick’s Vapor Rub could work. Even Star Trek technology has hit the nail fungus scene and doctors may use laser to zap the fungus into infinity. All of these remedies have good possibility of being successful. Whatever remedy you use, remember that it’s not enough to focus on the remedy itself. You still have to clean the nail – and do it right. And you still have to thoroughly wash your feet daily. The treatments must reach the nail bed. The fungal infection starts at the nail bed, not on the nail itself. Nail beds are composed of a thick keratin layer and your remedy must penetrate this to get those fungi predators that are lurking below the surface, knowing that they are well out of your reach. Develop a fungi killer mentality, as if you will be relentless about any of their lives! General foot care is imperative: always trim and file down your nails. Also, don’t hide your feet, as difficult as it may be. Keep your nails and toes well-ventilated. And as much as you want to paint your toenails, don’t do it. Healing will need the area to be undisturbed. With these in mind, let’s examine testimonials on each of the above-mentioned remedies and learn a little background on the fungus, why the remedies work and other great tidbits of info. Now, just for the record, I did make spelling and grammar changes just to make them easier to read. Have you ever thought that it’s possible that our Creator might have realized that sometime in life we could get nail fungal infections and created a natural remedy for it? The amazing thing is that almost every culture has a different remedy for nail fungus, and all of them have the potential to work. Some of these remedies become popular and carried to other cultures; some may even make newspaper headlines, and others may even be recommended by medical doctors. Tea tree oil is one such remedy. Patients at the Mayo Clinic often ask about this treatment, which is why they have a page about it on their website at www.mayoclinic.com However, there’s always a problem with natural remedies being recommended by doctors and hospitals who are funded by pharmaceutical companies: a natural remedy such as tea tree oil cannot be patented and doctors and pharmaceutical companies stand to lose money by recommending it. 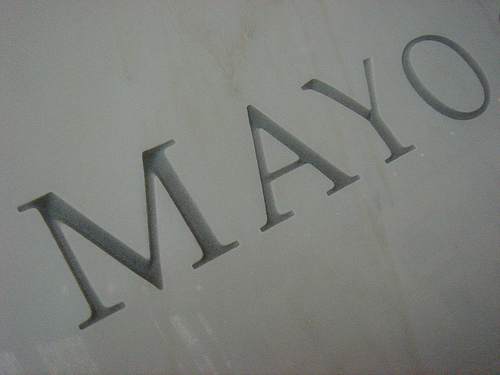 So don’t expect the Mayo Clinic to be your source for all the positive results obtained in studies. If you received positive results you wouldn’t have a need for an office visit. Nevertheless, the Mayo Clinic does report that Tea tree oil has been used traditionally to prevent and treat infections and has antiseptic properties. They counter this with a “lack of definitive available evidence”. The fact of the matter is that the words, “traditionally used to prevent and treat infections”, is in itself a badge of effectiveness. This means that over decades the remedy has been used. And people don’t keep using something that doesn’t work, do they? Zetaclear is a natural tea tree oil based remedy; it’s simply essential oils combined together for the purpose of supporting healthy nails. “I have been using tea tree oil from Melaleuca on my toenail (great toe only) for about six weeks with amazing results! I apply it every night after soaking my feet in the bathtub. I started out by pulling the nail out so the oil would go under the nail as well as on top of it. “I’ve had fungus on both big toes and both little toes for years. Let it go for years, ignored it, and kept getting pedicures for YEARS!!!! Well, over a year ago I decided to try formula 3 which didn’t do much. Just about 3 mos. ago I started DMSO and tea tree oil. Well, it’s working. I apply with a nail polish brush from a nail polish bottle and mix equal amounts of the DMSO and tea tree oil. My nails take a long time to grow but are finally almost grown out and what a difference. I had a dermatologist tell me a couple mos. ago that it’s really difficult to get rid of nail fungus infections and to just forget it and get them painted. Wow, nice doctor! Vick’s Vapor Rub is a unique combination of petroleum jelly and oils along with active ingredients that can fight the infection, such as menthol. Let’s find out what happened when people used it on their nail infections. “I’ve had toenail fungus for 25 years. My wife asked her doctor to prescribe oral Lamisil but an assistant mentioned he was doing a study on Vick’s Vapor Rub. She took the Lamisil and I decided to try Vicks. She totally cleared up hers in 3 months and so did I! I got complacent and stopped Vicks after 6 months and the fungus returned in 6 weeks. Hers did not return. So Vicks requires a lifetime commitment. First, wash your feet very well. Then exfoliate any dead skin from under and around the nails, where possible. Apply Vicks under the nail where possible and slather on top of nails. Whenever possible go barefoot, but the Vicks can leave grease stains, so be careful where you walk. “I suffer from a faulty immune system and am prone to frequent fungal infections. One of the best treatments for nail fungus is to use an emery board to thin the entire nail. I try to make sure that I do it while the nail is a little damp to avoid creating too much nail dust with fungal spores in it. I do this the first time and again as needed to keep the nail thin and more permeable. 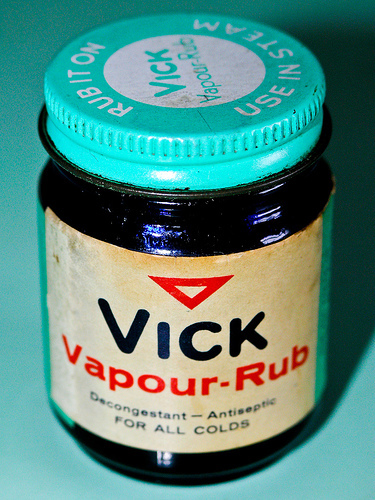 Then I begin to rub in Vicks VapoRub. Store brands are acceptable but I tend to still go for the name brand. I continue to apply the Vicks twice a day for several weeks and it works. It has all sort of natural oils in it that create an inhospitable environment and kills the fungus. Remember to swab around the nail and all your nails just to be sure that you catch anything that may be starting up. These fungi eat keratin, the hard material that nails and hair are comprised of. A toenail infection can spread to fingernails, and even to hair. It is also very contagious and spread between family members. I recommend having the afflicted family member wear flip-flops in the shower and for good measure I will pour a little white vinegar in the shower/tub after someone takes a shower. “When I was in rehab after hip surgery, they cut my toenails, and I didn’t want to criticize them but they went from one toe to the next after trimming the big toenail that had the terrible fungus. It didn’t take long for every nail to show the beginnings of a fungal infection. 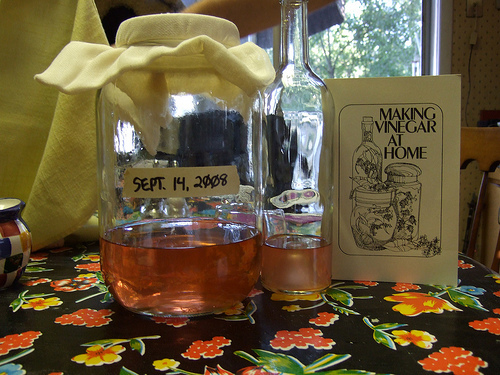 Vinegar is really an acid; it’s called acetic acid. Acetic acid can destroy the dermatophytes, microbes that feed on the skin, and cause nail infections. The official term for nail infections is onychomycosis. When using vinegar, soak the affected nails of the hands or feet in a solution of 1 part vinegar to 2 parts water for only 20 minutes a day. This is the same procedure that you can use for Listerine; just replace the vinegar with Listerine. “I wish I would have started vinegar baths WAY sooner. I let my big toe get worse and worse, just covered it with nail polish until it was just hollow with fungus underneath, and then turned black with bacterial infection. Then I tried a holistic remedy that included oregano extracts and a lot of other agents that dried it out a lot and now it has cracked in half down the middle. “Apple Cider Vinegar actually changes the pH balance of the foot. This creates an environment that the fungus cannot survive in. Think of a human surviving in an environment without oxygen. Same thing. Hydrogen peroxide is nothing but oxygen and hydrogen molecules together. It’s an oxidizer that is capable of being used as a cleaning agent, as bacteria is killed when it comes into contact with the peroxide. Hydrogen peroxide is a translucent, colorless liquid, slightly more viscous than water. “I found the best remedy for my fungus: mix a 50/50 combination of apple cider vinegar and 3% hydrogen peroxide. Apply to the nails until no more fizz bubbles come out. Then mix it in a 50/50 combination of water and bleach. If the fungus is really bad, add more bleach and soak your toes in this mixture for 30-40 seconds. Then rinse and dry your toes. Next mix tea tree oil with petroleum jelly (vaseline) and apply it to the nail. Cover with a band aid so it’ll stay on all day long. The fungus will be gone within a week. The medical profession generally uses terbinafine hydrochloride (Lamisil) for nail infections, which are technically called onychomycosis. Lamisil works by inhibiting the enzyme responsible for creating the cell wall of the fungi. Without a cell wall, fungi can’t live or reproduce. “I have used a combination of Lamasil applied in the PM and Nail Rx applied in the AM for about 6 months on my large toenails. It is working very, very well. All of the new toenail growth is clear and appears fungus-free. 5. Laser Treatment: Is Star Trek Technology Working Yet? If you use a combination of different treatments, you have a greater chance of success. This is because an individual only attacks the fungi on one level. 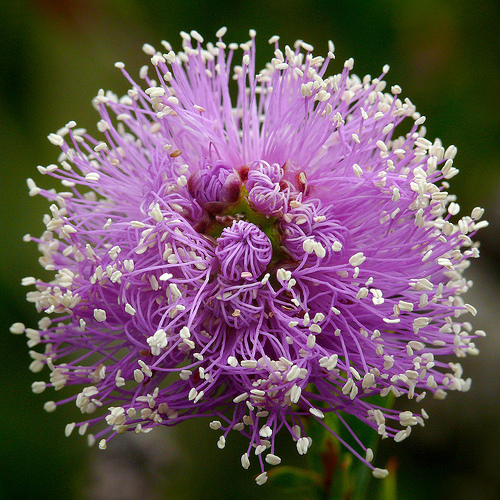 For example, the antimicrobial effects of tea tree oil will have one specific effect on the fungus and take a certain length of time to work. However, if you added a second treatment that interfered with the reproduction of the fungi, now you’ve initiated a second line of defense against the infection. Imagine what would happen if you added a third remedy and possibly a fourth. Attacking the fungi from four different perspectives can give you results in a shorter period of time. And that’s really what you want, isn’t it? There is no such thing as a quick cure for nail infections. That’s because the nail is slow-growing, taking about six months to grow fully out. Any infected part of the nail must grow out. Thus, you need a lot of patience. Once the new nail growing out is not infected, you have cured it. Below is my best treatment for toenail fungus. I want you to have it and be able to show your pretty feet to the world again! 1. Always dry feet and toes thoroughly after bath/shower. No pedicures at all and keep nails short. Use a fungicide powder like Lamisil or Desenex and be sure it gets into all nail corners. 2. Alternate two or three remedies and use twice a day. I like Lamisil cream, Fungi cure (paints on) and tea tree oil which is the best anti-fungal in the world. Alternating really helps because it keeps surprising your fungus with a new attack. 3. Acid footbaths (like Listerine or vinegar) help but they are no substitute for continuous topical applications, like described above. 4. The internal meds are very dangerous. You don’t need them if you are patient and keep at it. If you must take something, take acidophilus which is great for you anyway. Since there are thousands of people suffering from toenail fungal infections, referring back to your journal for specific details can make a big difference in their lives. And that’s what life is all about – overcoming obstacles so that others may also benefit! I’ve battled with toe nail fungus for over 10 years and I’ve tried almost everything out there to help me get rid of the fungus. I have been very happy with ClearFungus as a daily treatment because it has definitely improved the appearance of the fungus but hasn’t gotten rid of it 100%. I recently discovered on another Site that by spraying vinegar with crushed garlic on your infected toenail would help get rid of the fungus and tried it and after using it for 3 weeks now, I can say I’ve seen a little improvement. After the rinse, I put my usual ClearFungus treatment and have seen my toenail less discolored. I still see the fungus trying to come back but I’ve cut down the toenail again to prevent it from spreading and repeat the process. However, I learned on this Site today that by filing down the toenail, you are helping your treatment penetrate to the bed of the nail which is where the fungus lives and not on the nail itself. Duh! why didn’t I think of that. I’ve always tried to push the treatment through the sides of my nail to get to the bed, but I am going to try this instead. Also, I learned that by applying heat to the nail before applying a treatment, the nail’s pores open up and the treatment penetrates to the bottom easier that way. I’m definitely trying these two methods and see how that works. I will also stop any type of color on the infected toes. I’ll keep you posted. Once I realized I had toenail fungus I started researching home remedies. I tried Clorox, which burned my toes literally. I had to wait until they healed before trying something else. I wouldn’t suggest Clorox. It did kill the athletes foot I had for years though. I have been doing almost all of the treatments. I find that when I do vinegar soaks the spores come off in the foot bath. I have taken pictures after each treatment and you can see the spores everywhere. It’s creepy. Next I tried the hydrogen peroxide soaks and it killed a lot of infection. Then I started tea tree oil. Now I am trying coconut oil with tea tree drops added. I put it on at night with some socks because it is messy. So far my left foot is looking great. My right foot still needs a lot of work but I can see improvement. I really am starting to believe that you have to try it all and see what works best. For me it’s the peroxide and vinegar. The coconut oil helps as well and softens the old dried out skin. I did read that coconut oil works well to get rid of the spores. I will keep at it until this is gone. If you take a picture after treating with soaks and zoom in you will see the most disgusting stringy black things and spores. I am now very conscious of the spore thing and will be adamant about using a new towel and washing them in Clorox afterwards. I think most people don’t realize the thing about the spores and how it can re-infect you, at least I didn’t. Good luck everyone. I’ve been in flip flops since March and plan to stay in them until this thing is cleared.